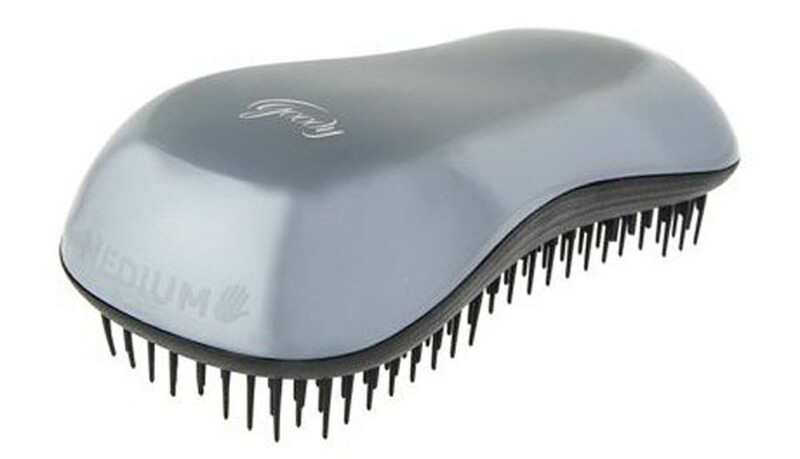 A cheapie hairbrush that gets out tangles, without pain or suffering! Anyway, all of this is to say that I had zero expectations when a bag of Goody&apos;s new launches crossed my desk. The first thing I tried was this round brush with bristles covered with towel material, because I thought that sounded really cool. Turns out, not so cool. So time passed, I forgot to test the rest of the contents of the bag, and then I started hearing about these detangling brushes. First, it was my sister-in-law telling me that all the moms in the &apos;hood were talking about these new brushes that their daughters would actually tolerate without squirming and begging for mercy. Goody TangleFix, at Amazon.com, Target and Walgreens. It ain&apos;t pretty. It&apos;s a boring silver colour that just looks grey (and it also comes in black). The children&apos;s version is in purple and blue, which isn&apos;t really fair. But who cares when this thing costs eight bucks and is the BEST at detangling your hair—just as good as the Mason Pearson if not better. 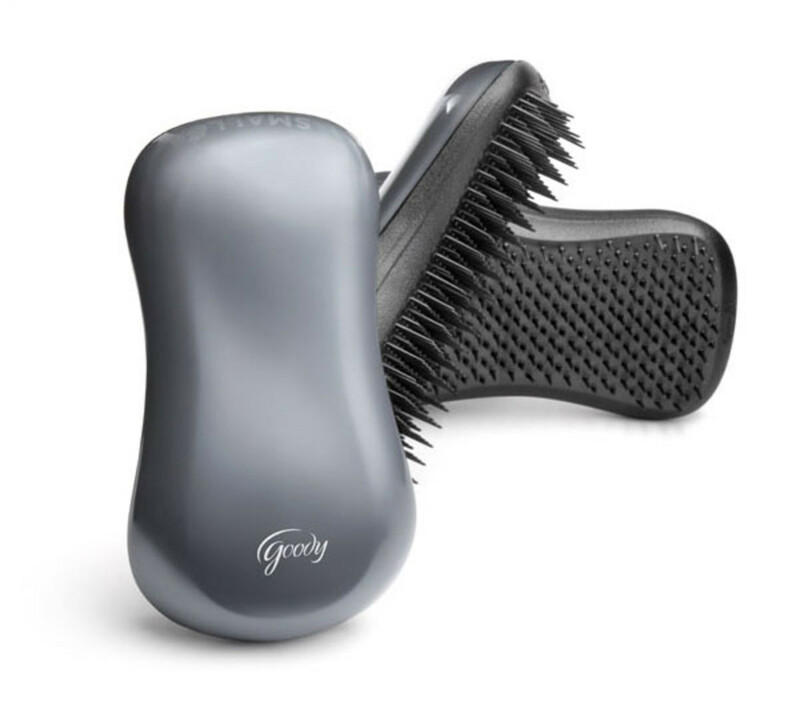 I could hardly believe it myself because while Goody makes amazing everything else to do with hair, in brushes I was not their biggest fan. It&apos;s super-lightweight, shaped kind of like a computer mouse and is ergonomically designed to fit very comfortably in the palm of your hand, with one side labelled "small" for small hands and the other "medium" for medium hands. 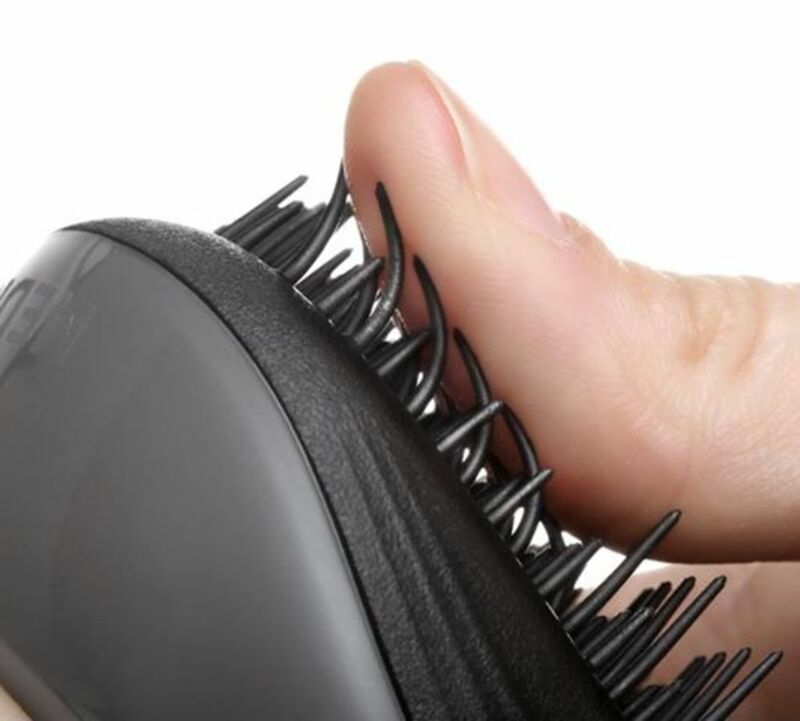 On the underside are black plastic bristles that are designed to bend and flex with your hair—they&apos;re not all stiff like many brushes. You can use it on wet or dry hair and it&apos;s important to do it starting from the ends and working your way upward. 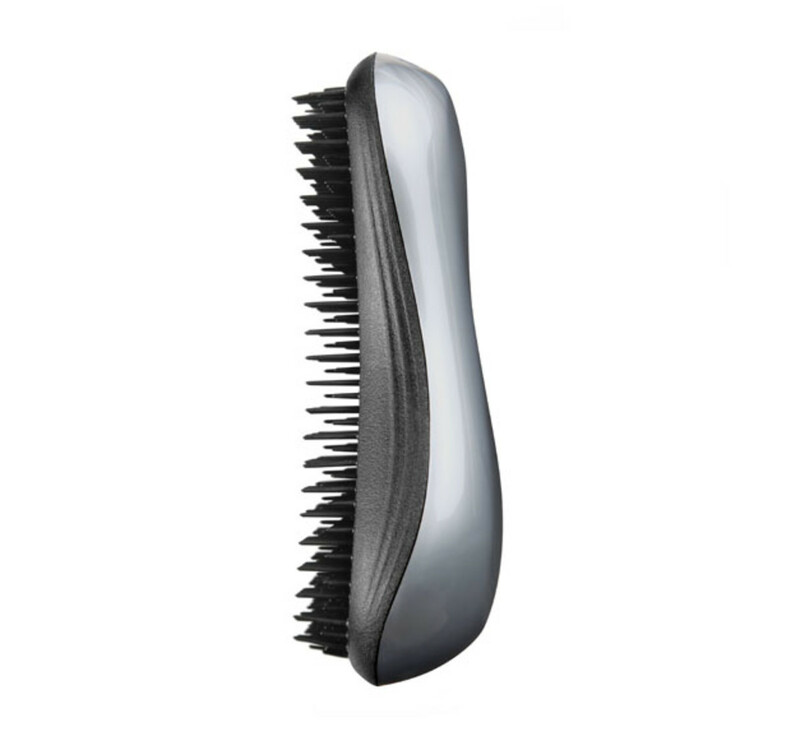 This isn&apos;t a brush that you go nuts with like the MP; it&apos;s specifically for slower detangling work. 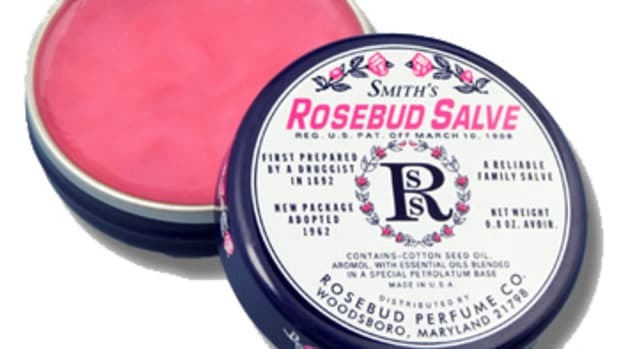 Don&apos;t use it for heat styling or with a hairdryer—it may melt! The bottom line: I love this little guy. 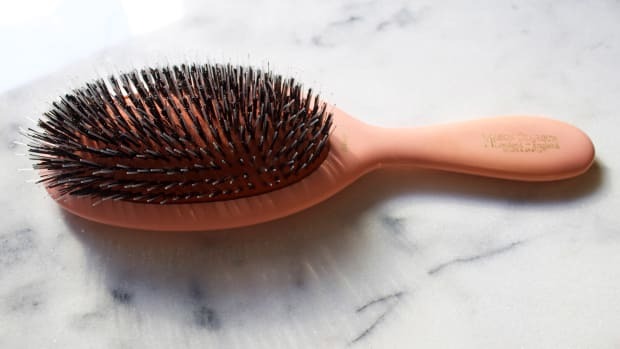 It won&apos;t replace my Mason Pearson because that brush is made to do many more things—regular brushing, back-brushing, heat styling, etc.—and it&apos;s made from boar bristles instead of plastic. 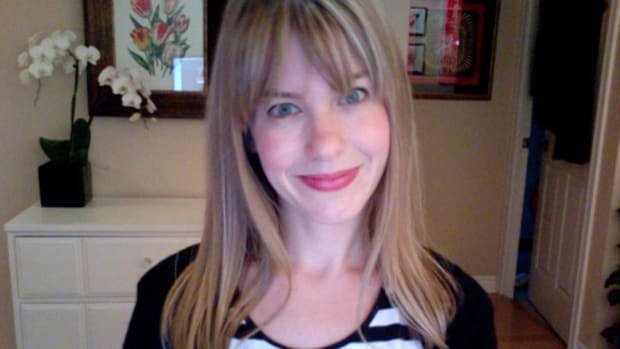 But for specifically unraveling my oh-so-tangle-prone hair, the Goody really does what it promises. Find the Goody TangleFix at Amazon.com, Target and Walgreens. 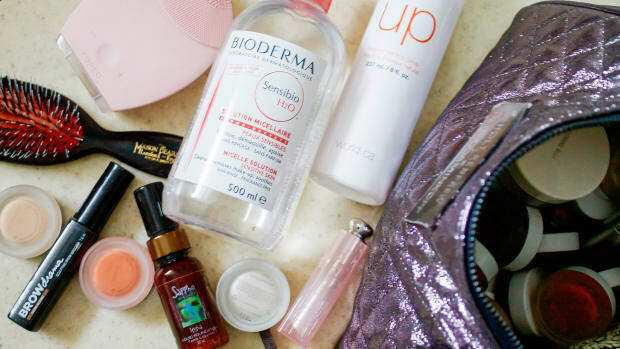 What do you use to detangle your hair? Got any other hairbrush recos? And here's the easiest way to make 'em happen. Plus brushed-out curls for the win! A simple but effective combination. 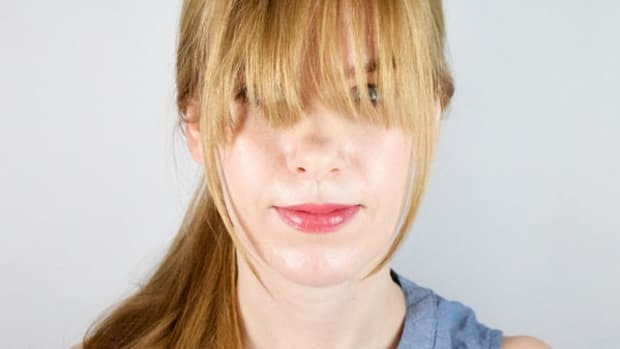 Four ways to style long or grown-out bangs—no scissors required.